Home » Writing » Blogs » Uber Blogs » Is Uber really elevating to air travel with UberAIR? 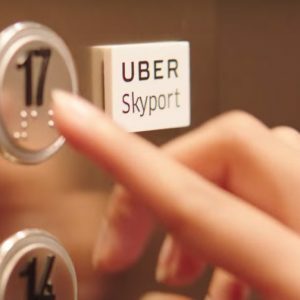 Is Uber really elevating to air travel with UberAIR? Everyone would love to avoid that daily annoyance of getting stuck in traffic. Even Uber can’t avoid those lost moments in the day, but just like many other companies, Uber is looking for other options. It has set its sights on transportation through air. Flying on-demand between your daily activities may, currently, seem to be exclusively available for the rich and famous. You know, the established millionaire business person who gets to fly a helicopter to the office and the super famous DJ flying his own jet to a gig, but we, the everyday people, get to travel on strict flight schedules. Far from on-demand. Other companies have tried to offer on-demand flights by trying to implement the idea of sharing services, like Uber does on the ground. However, they were shut down by aviation laws that were put in place for a traveler’s safety in a commercial setting. And when we start to travel more on a customized level, more aircrafts would be in the air. This also affects the environmental impact. These are the challenges Uber is trying to tackle with UberAir. What is Uber Trying To Do with UberAIR? Uber is clear that it wants to divide the traffic over land and air. For air travel it wants to set up, and partially has, a network of small, electric aircraft that take off and land vertically (called VTOL aircraft for Vertical Take-off and Landing, and pronounced vee-tol) to offer fast and reliable transportation between suburbs and cities and, ultimately, within cities. For this, it still has to develop an infrastructure to support this. Nevertheless, Uber hopes to offer this service in Los Angeles and Dallas by 2020. It’s very interesting to me how Uber has taken on the problem of delays within transportation and even goes as far as to claim that VTOL will provide a disruption-free service. Read their whitepaper for more information. Congratulations Uber on 1 Billion Uber Rides Worldwide!